Mud Mud Glorious MUD! | Raw & Unearthed. International Mud Day may have come and gone for another year, but that doesn’t mean we have to pack up the mud! “It is time to embrace the mud 365 days a year & dive head first into the mud pit…. Exhibit A: Yep that’s me, mid belly slide! Before you pass me off as completely crazy, don’t forget that our responses, body language and own fears portray to children. 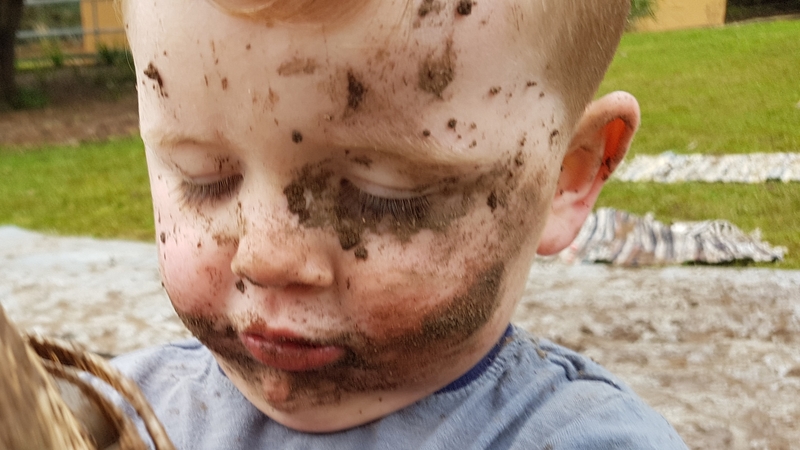 What they see, hear and feel can determine how they engage in play…..if they see you avoiding mess, turning your nose up at it or complaining about the clean up, chances are they will avoid it too. 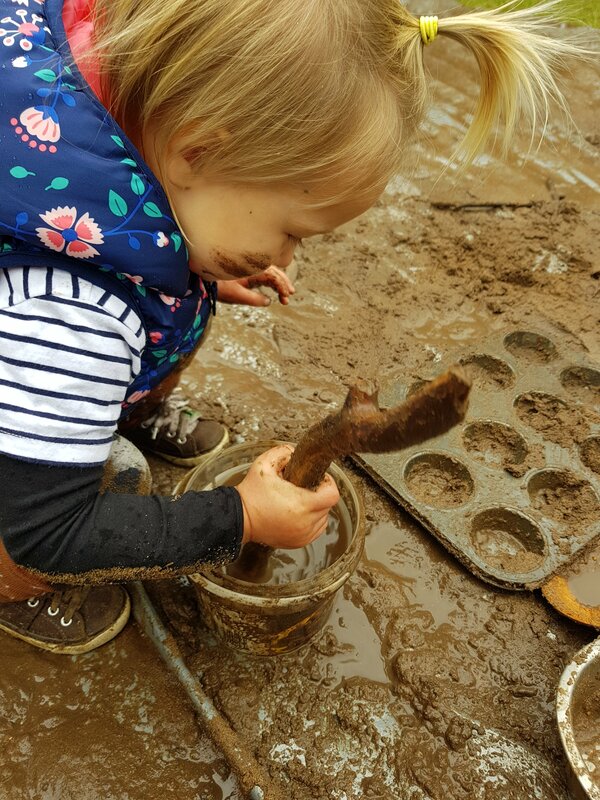 However, if they see you laughing, playing and fully embracing the muddy messy goodness…. they will join you! 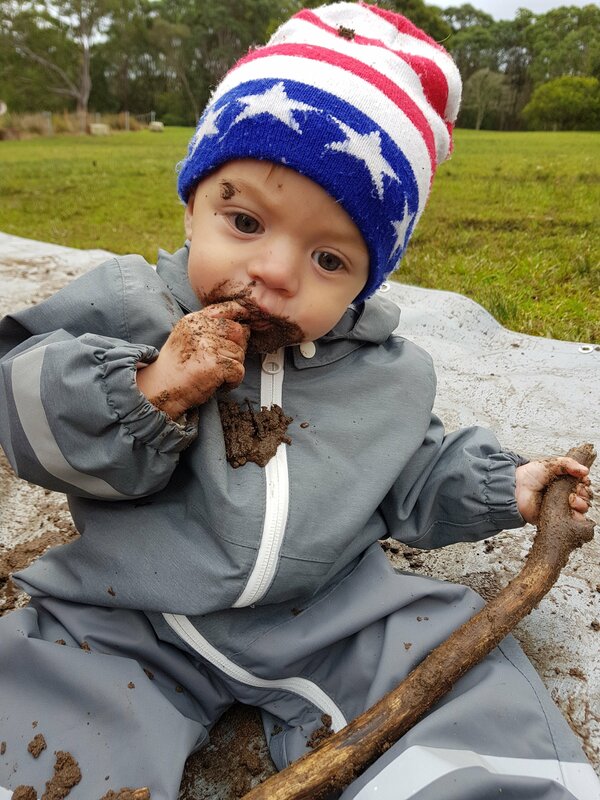 You see, mud is an all ages play resource- yes that means you too! 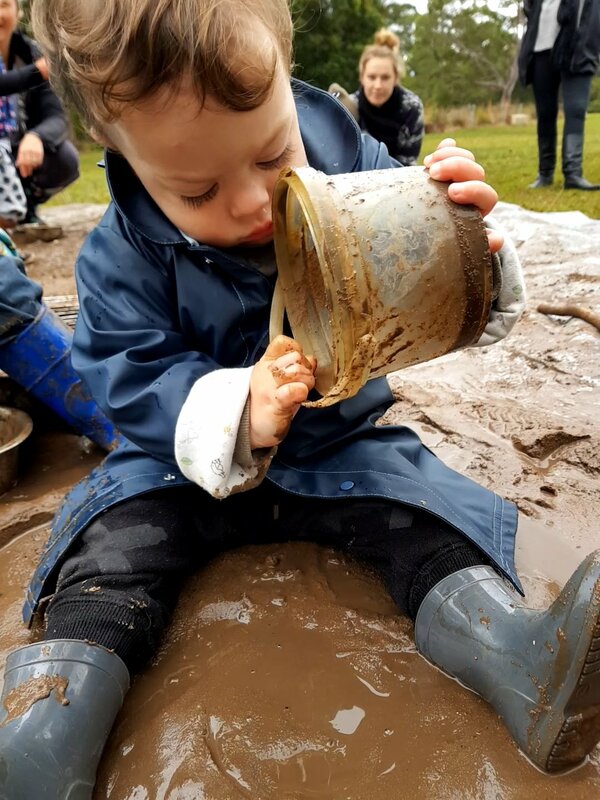 Whether you are a wee bubba just learning to sit, a toddler finding your balance or an older child (or adult) ready for a mud wrestle, mud provides the perfect space to explore, let go and be. Raw&UnearthedPLAY is all about being in the moment and experiencing that true sense of being…..where nothing else matters except for right now, this moment. All fear, stresses and anxieties have flown away. The world slows down and time is created to just be. As the world slows down, you control the pace. You may chose to slowly spend time tasting, feeling or observing. You may work quickly to mix, pour and create. You may repeatedly scoop and pour, over and over because time is yours. Yes, time is yours. You set the pace. So why not make it unhurried, uninterrupted and spontaneous? You may take time to notice, watch and see. Build understanding of why and how. 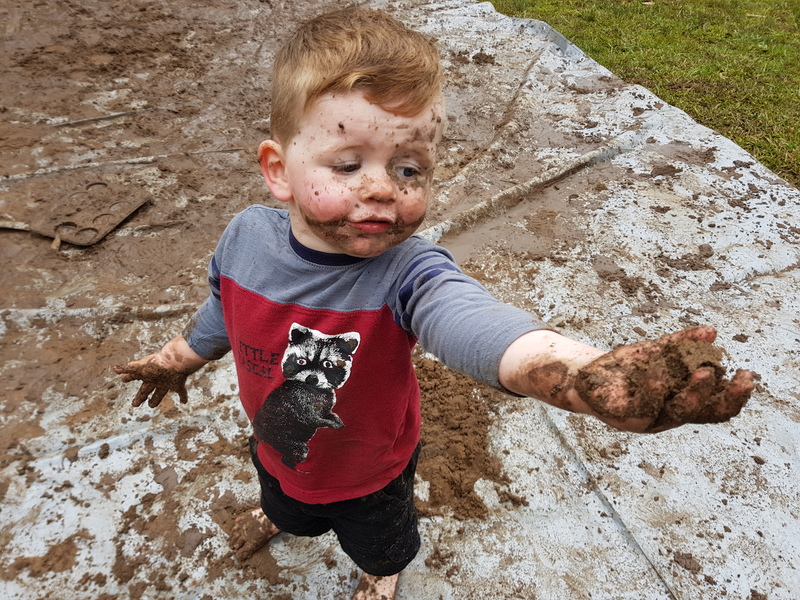 You may seek a fast paced mud fight, rolling big fat slushy balls to send flying across the yard watching in awe at the splatter patterns they create on impact. You may allow ideas to develop as you go, no need to plan and foresee outcomes. 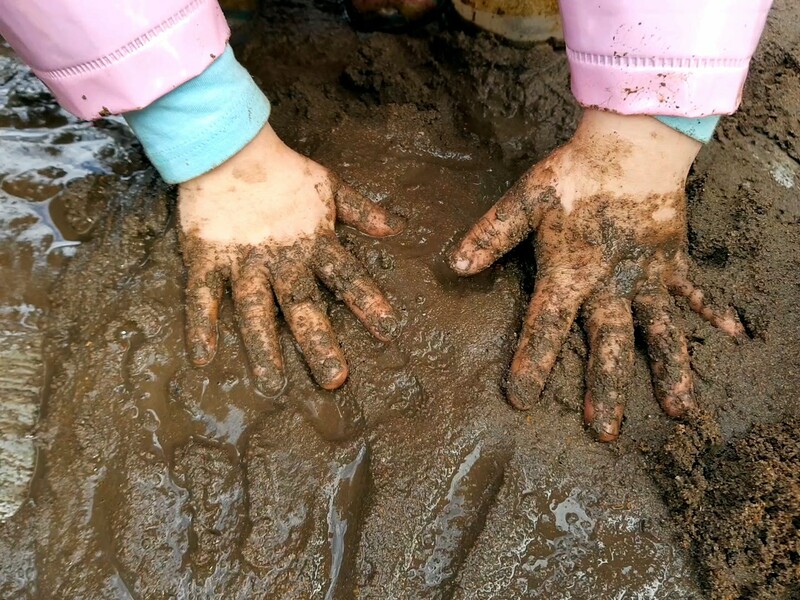 Mud and messy open ended play matters. The way you promote it and the value you place on time can make an ‘activity’ become a full blown, complete body, memory making experience. 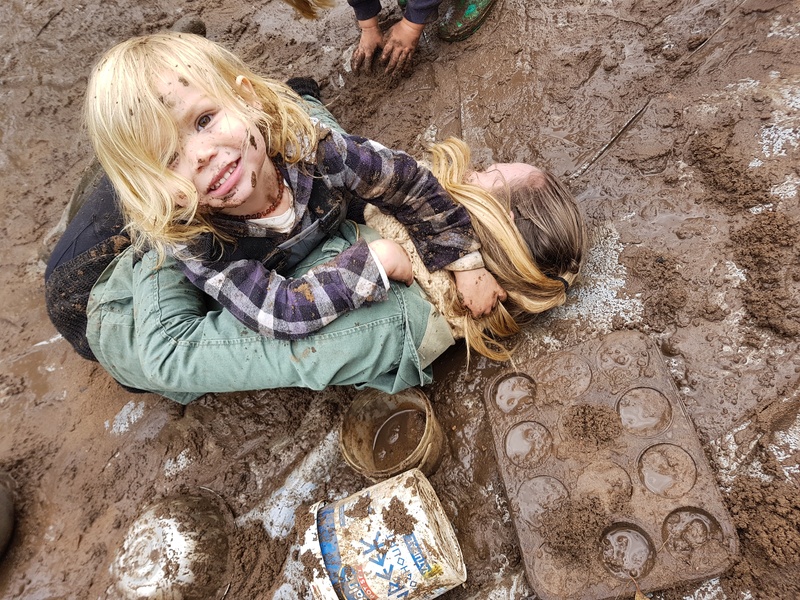 What I loved about International Mud Day 2017, is that more and more people were joining in! Social media platforms were bombarded with images of muddy fun goodness. 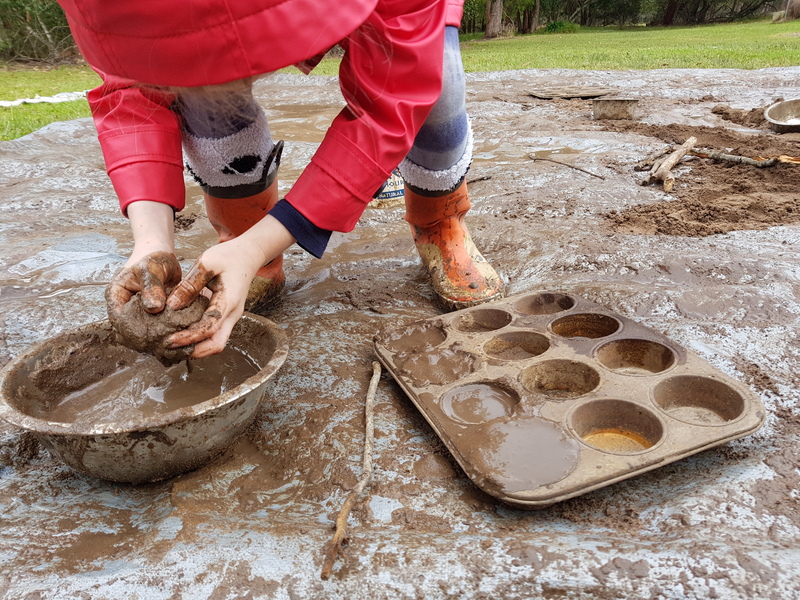 Each year, the 29th of June is a day where children around the world celebrate connectedness to each other and the earth- through the earth itself…..MUD! 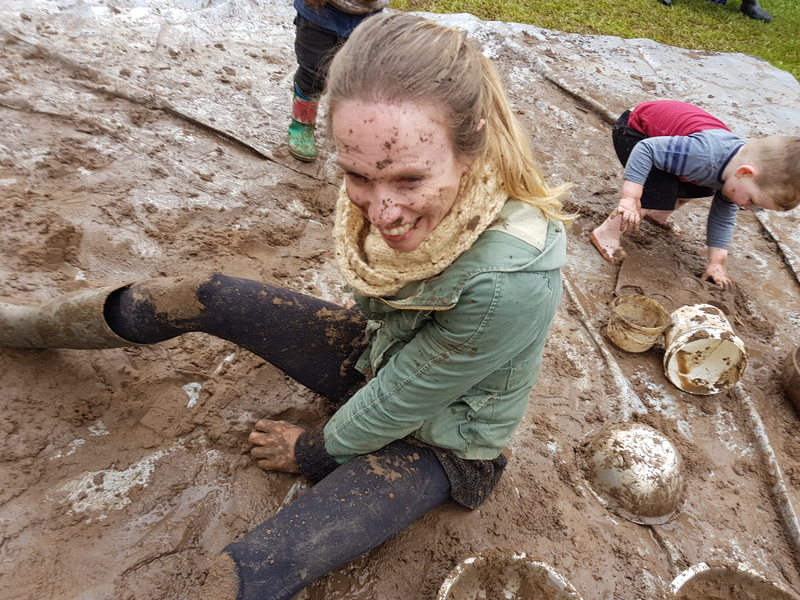 This year we saw everything from mud play-dough, small tubs of mud to dip hands in and bigger tubs for a whole body experience…and my personal favourite, the full on mud slide! The best part? All these experiences provided were at a level of comfort for the educators and children. 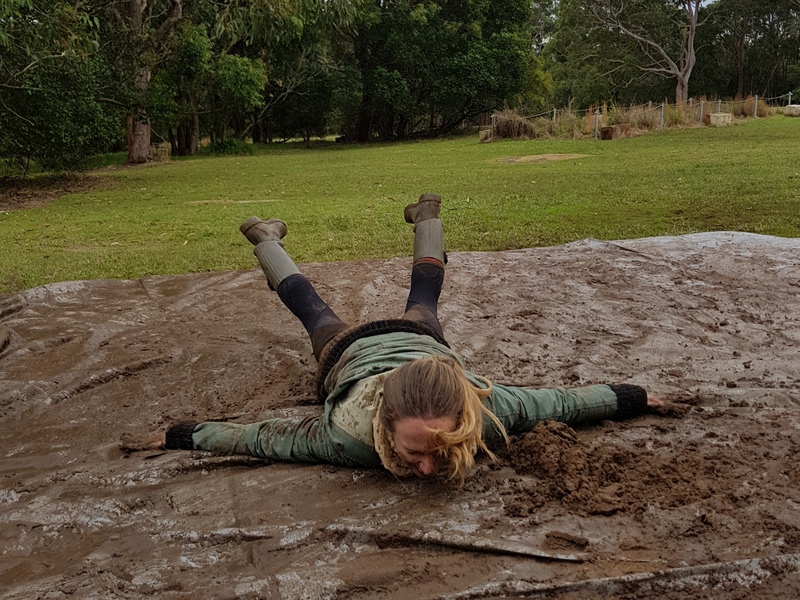 While I may be (not so) quietly pushing you to experience a belly slide in the mud….I know that at times people need to take baby steps to build their own comfort levels in order to make it enjoyable. But really, you should definitely do a mud slide at least once! 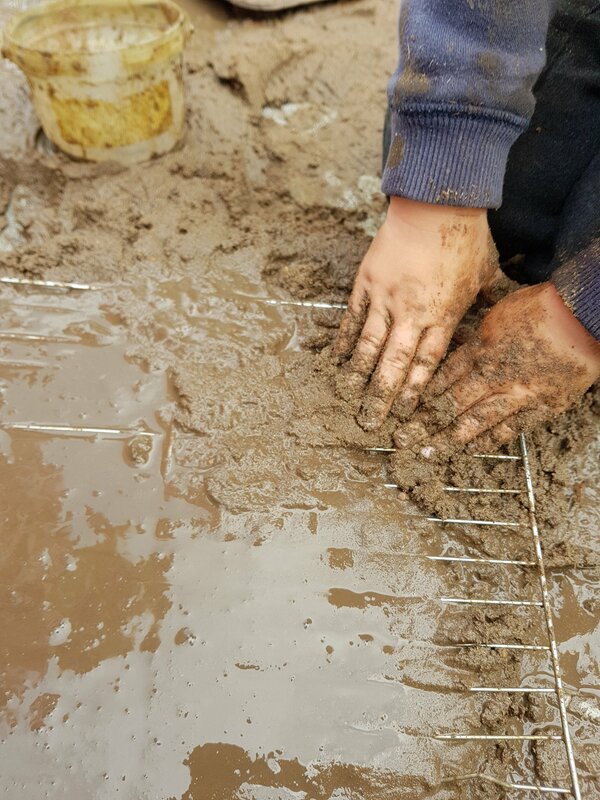 It is not just fun that this muddy play is good for. 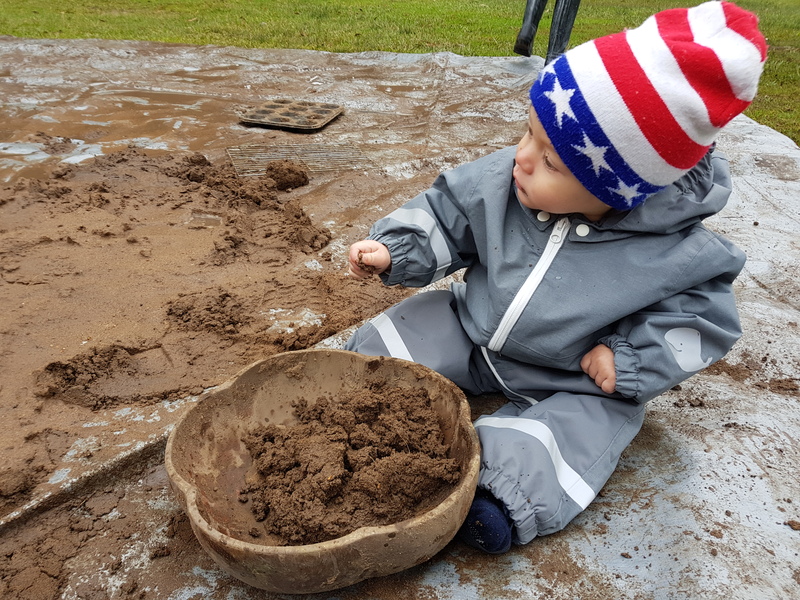 Being outdoors, children are engaging all those senses. Their whole bodies are engaged, stimulated in all the right ways and they are building connections to the natural world. Their holistic sense of wellbeing is becoming strong and healthy….so why not join them? Don’t you want some of that magic for yourself too? Exhibit C: Me again. Pure happiness is found in the middle of the mud pit. They say children are 100% washable……..Guess what? So are you! This entry was posted in Uncategorized on July 5, 2017 by raw & unearthed.